Su Box works as an editor, consultant, and author from her home in Oxford, England. She has written more than thirty books for children. Beginning with how God made the world and ending with the coming of the Holy Spirit at Pentecost, this childrens book relates the key stories of the Bible with color, emotion, and excitement. 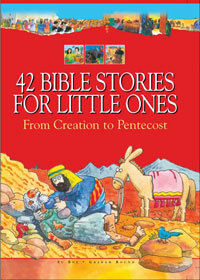 Each story is long enough to accurately reflect the biblical account but short enough to hold a child's interest.